A complete anti-aging program. 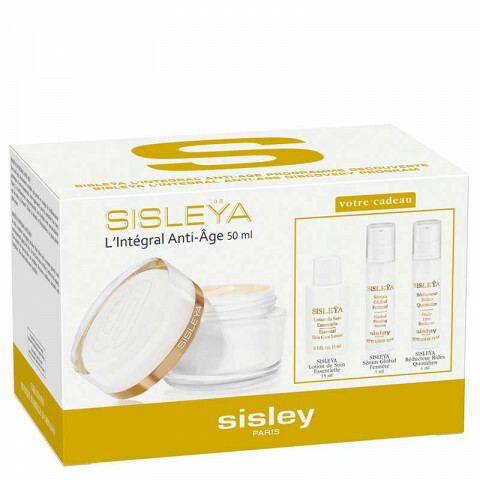 Sisleya L'Integral Anti-Age (50ml) address signs of aging at three levels: genetic, environmental and behavioral for a smoother, more lineless look. Sisleya Daily Line Reducer (4 ml), an effective anti-wrinkle serum which acts on all types of facial lines, including deep ones. This night cream is amazing and smells nice. It firms my skin and I wake up with glowing skin. I like it as much - if not more - than my La Mer. I have been using for only a week and am seeing improvement in my skin. It feels firmer, hydrated, plump, smooth, and reduced pores and fine lines. I am now hooked!! It's pricey but worth it if you can afford.